Odetta, who lived in Upper Manhattan, had been admitted to Lenox Hill Hospital three weeks ago with a number of ailments, including kidney trouble, Mr. Yeager said. In her last days, he said, she had been hoping to sing at the presidential inauguration for Barack Obama. 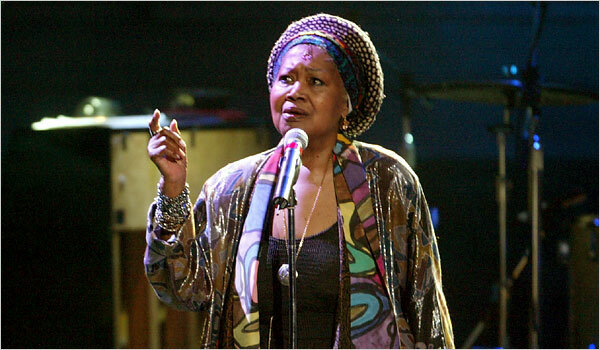 In a career of almost 60 years, Odetta sang at coffeehouses and at Carnegie Hall. She became one of the best-known folk-music artists of the 1950s and ’60s. Her recordings of blues and ballads on dozens of albums influenced Bob Dylan, Joan Baez and Janis Joplin and many others.